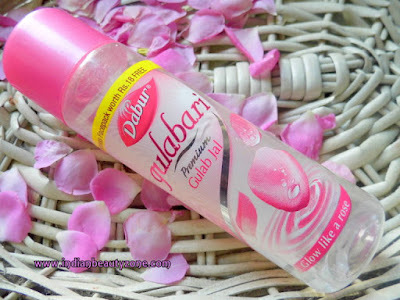 Replace water with Dabur Gulabari Premium Gulab Jal and get the glow of roses. Roses are well known for their many skin benefits. Use with Cotton daily for healthy glowing skin. Use with face pack for extra radiance. 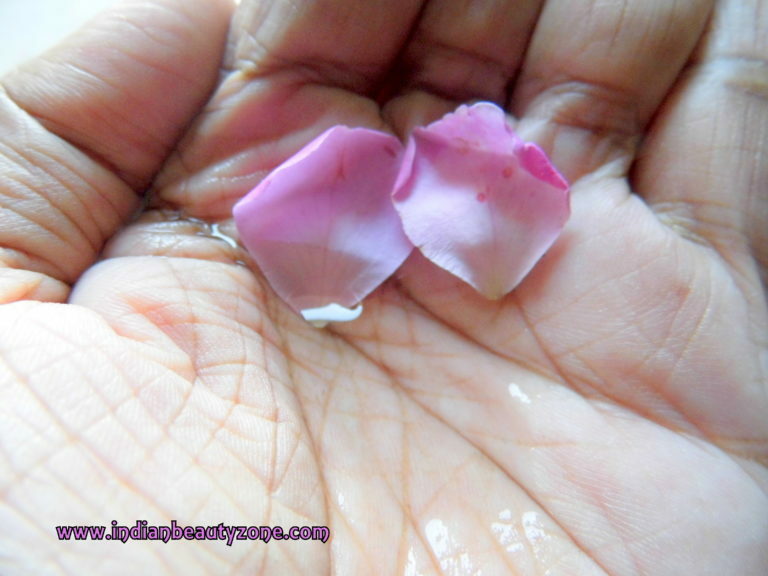 Use with glycerin for soft and glowing skin. Aqua, Fragrance (Rooh Gulab), Rose Oil, Propylene Glycol, Bronopon, Methyl Paraben, Propyl Paraben. 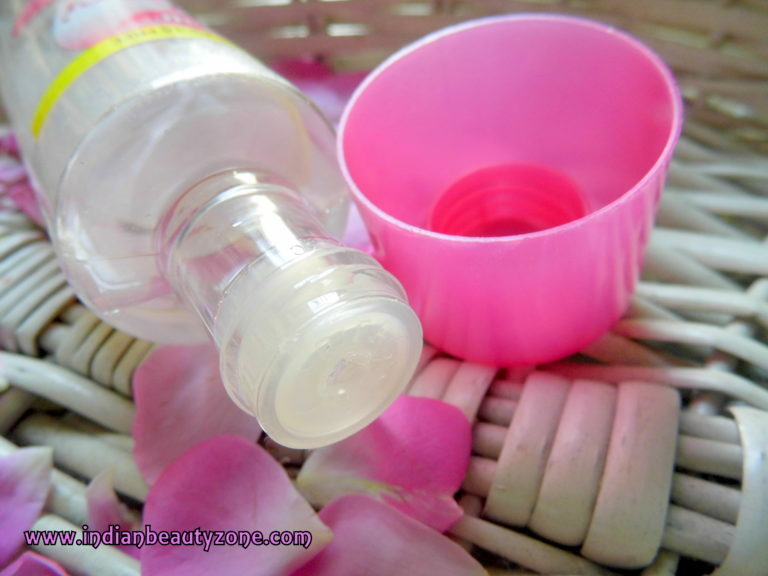 It comes in a transparent sturdy plastic bottle with a pink colour screw open lid. It is travel and user friendly. The texture of the Rose toner is non sticky and looks like a plain water with heavy rose smell. This Rose toner didn't suit me during summer and during winter it compacts the skin dryness and hydrated it well. When I used it on my oily skin during summer it gave me breakouts (may be because of the rose oil). 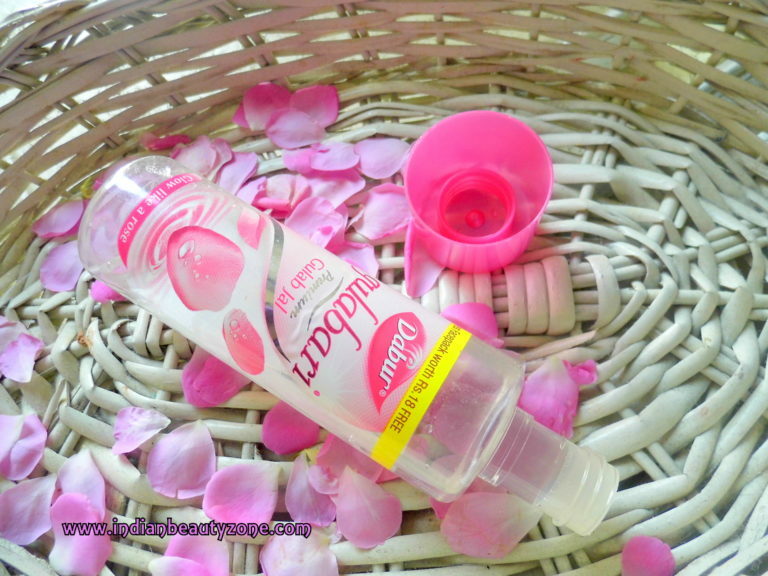 So, I stopped using this rose water and was using it with face packs, with face packs it gave great texture to the packs and lubricant property well. But it didn't suit me when applied alone on the face. It made my face more oily though it looks non sticky, that's why it caused pimples for me. During winter my skin became combination to dry. I have tried it on my face again and no issues so far that time. Still I am not using it as toner and using it for face pack mixing and other purposes. It can be a good skin toner for dry skin people not for oily skin. It is so cheap in price. You can use it as a multi purpose product. Best suitable for dry to combination skin. It helps to make face packs easily. Gives good glow to the skin. It caused brake outs for me. It is not suitable for oily skin. 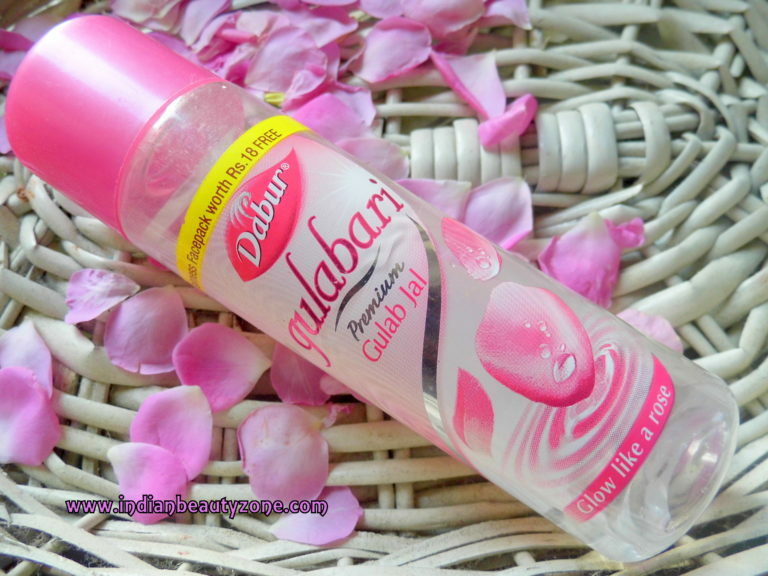 Dabur Gulabari Premium Gulab Jal is a pretty affordable rose toner which is easily available anywhere. If you have normal or dry skin do try this toner, it is not for oily skin people. It can be a substitute for water in your face packs.